Enjoy a Fothergills Sunday Lunch, served each week from 12 noon with both Nottingham Castle and the world-famous Robin Hood statue in clear view, enjoying one of their home-cooked Sunday Roasts. They offer a choice of pan-roasted chicken supreme, slow-roasted belly pork, silverside of beef, braised lamb shank or vegetarian nut roast with all of the traditional trimmings from only £11.95. For those breaking tradition, they also provide a wide variety of other meat, vegetarian and fish dishes. See menus section for full list of dishes available. Book in advance to guarantee a table. Book online for free text confirmation or call 0115 754 0476. Enjoy a 2 course lunch featuring delicious seasonal dishes for just £13.95 per person at Fothergills! Available Monday - Friday until 5pm. Not available during December Book online for free text confirmation or call 0115 754 0476. Fothergill's pride themselves on their delicious, locally sourced and freshly prepared food and it's easy to see why! Indulge in either a main, salad or burger with a 175ml house wine for just £13.95. Book online for free text confirmation or call 0115 754 0476. The first time we've eaten here and were impressed. Very inviting menu. Food was good and with a couple of tweaks could have been very good. Food over there is always delicious, very professional service. It's my favourite Greek restaurant so far in Nottingham. I took my friend the first time and she asked me when we can come back for a meal to Yamas. She just fell in love with the quality of food. Lovely food and good service. We’ll be back! A lovely way to spend New Year's Eve with my lady .... best-suited table in the house following my request for a cosy table for two, premium price for New Year, but didn't let that spoil our memorable visit. Excellent food, mussles for me, halloumi for the Mrs.
Good service, and reasonable value. Food was excellent service was very good we had a 3 course Sunday lunch it was absolutely fabulous everything about the place is right will be booking to go again and have recommended the place to all of my friends Was very happy all round great place amazing food. Meals were tasty, unfortunately bits of crackling was hard. It was busy and service was slow at times. Staff very pleasant and accomodating. Food was very enjoyable, and service was very good. Good food, bit pricey, staff friendly and helpful. Thought service was a little slow, but worth the wait. Great meal. Catered well for a party of 11. Great choice and service. Unfortunately the waitress didn’t appear to have any knowledge of the menu. We also had to ask 3 times for our drinks which should have accompanied the food as part of the meal deal. Tasty food and lovely setting. Will come again in the hope that this was just a training issue that can be easily resolved. Fantastic everything, love this place. Enjoyable meal with pleasant ambience and excellent service from staff. And good background music at reasonable volume. Lovely place and the food is excellent! Great atmosphere on a sunny Sunday afternoon. Excellent food. Fantastic service. Service very good. I like the new menu change. I chose Mackerel pate and the pasta with chorizo and both were delicious and presentation was good. Decent wine list too. The atmosphere was really good and the music was brilliant so it was a good combination of people dining and people just drinking. Fothergills is the full package every element from food to service is everything deserves top marks. Well done and keep up the good work . Great tasty food and the lunch menu was good value for money. Going to book again, I would definitely recommend. Went for Sunday roast, the lamb was beautifully cooked to go with the comforting atmosphere. Enjoyed a lovely evening in the cosy restaurant while the “mini beast from the east” hurled snow down outside! Nice food but nothing special. I’ve had great Sunday roasts here so I will return. Tried the dine and wine deal for £29. Comes with a large glass which is nice, but the person you're sharing with has to have the same wine, which is restrictive and seems unnecessary (especially when they accidentally brought out the wrong colour wine and took it back, even though we would have preferred one of each). The food was tasty and service OK. All worked fine as we were looking for a quick turnaround before a show. Good value and excellent food. Booked on a recommendation from a friend as I don't know Nottingham that well and was not disappointed. The service was great, prompt and friendly and the food was delicious. I would definitely recommend fothergills to a friend and will certainly go back there. A good night with great service. Food very good and atmosphere just right. We thoroughly enjoyed our meal. Good portions and delicious food at Fothergills. The lamb shank was really good and the staff were very attentive! It was my birthday, the weather was great! The staff was lovely. The whole decor of the place is really nice, friendly atmosphere with customers. Our second trip to Fothergills for a family birthday meal and we all had a great time. Will be back again soon! First visit to Fothergills. First class service from the staff but my steak and ale pie had very hard pastry which even soaking in gravy did not soften. And no brown sauce to go with the steak pie! Although they did offer to go to Tesco to get some. Also veg was too Al Dente for my taste. Having said that we will visit again. Wonderful afternoon at Fothergills in a lovely location with fab service! Thanks to all the staff for a lovely evening. The food was excellent as was the service. We had the added bonus of a table in the window on the corner which made our night! Best ambience in Nottingham, with lovely decor, great people watching spot, and attentive service. Fabulous night to celebrate my partners birthday... never disappointed...thank you Fothergills! I booked in for Sunday lunch with my mum and sister, after visiting Nottingham Castle and Wollaton Park on 'Nottingham's Big Day Out'. We love the location of Fothergill's, overlooking the Robin Hood statue and Castle, as well as the eclectic (but not overdone) decor, old school classic music and (for my sister) the range of real ales. We had: the roast lamb shank which was great, and; the roast beef which was pretty good although, as the slices were on the thin side, it couldn't be cooked as I normally like it. We'd definitely still go back for the overall experience, and I don't think any restaurant in the City centre has a better location ... it's also a fab place to sit outside in the sun with a glass of fizz on a sunny day! Fantastic restaurant. We booked here before going to the Motorpoint arena which is only a 15 minute walk away. The location is brilliant where we had a window table with a view of the castle. It has a really nice ambiance which is backed up by the excellent service and lovely food. 5 stars all round! Absolutely beautiful restaurant! Came here on a date with my partner and it was just perfect! The food was amazing and the aesthetics were great! Definitely somewhere to go back to. The food was excellent. Red Snapper with greens and new pots! Lovely location excellent service and good food! We started with the Camembert to share and with the side salad & bread it was plenty between the four of us. We each had different mains which were all cooked to perfection. The crackling on my slow roast pork was the best I'd ever had. Wonderful views out over the castle, very pleasant waitresses and none of the food was served for silly prices, meaning we will definitely come back to Fothergills when in Nottingham. Thank you for a super evening! 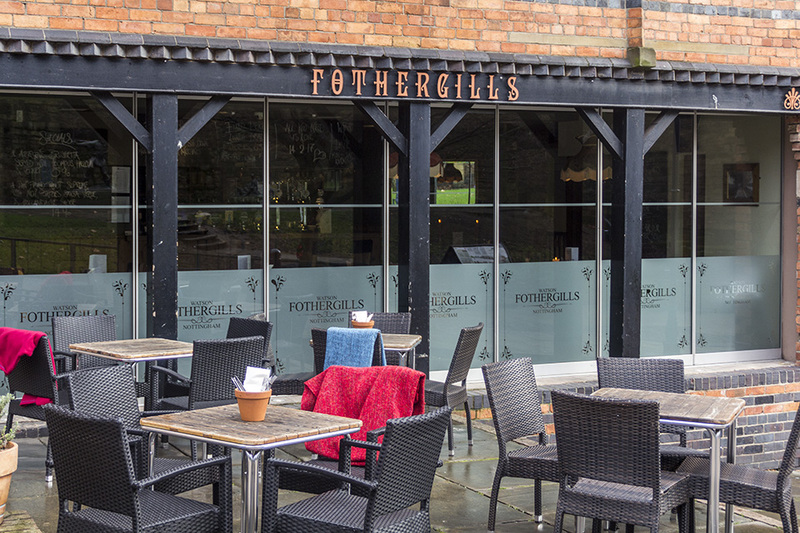 We booked a table at Fothergills restaurant in Nottingham through Go dine. It couldn't have been easier. We received text and email confirmation. We had a lovely table and enjoyed a fabulous Sunday lunch on Easter Sunday. The choice on the menu was great and everyone in our party loved the food. We all went for a Sunday roast and it was all fantastic. Great service and a lovely relaxed atmosphere. Top marks. We will be returning without a doubt! We were visiting Nottingham to surprise our uni student daughter on the eve of her 21st Birthday. Her boyfriend just needed to get her their on time. The girls at Fothergills were brilliant and so excited for us when we told them our plan, giving us the nod when they arrived! Everyone was lovely and our daughter suitably surprised. I chose Fothergills as it had a few vegetarian options including a great veggie roast option, which both of our children enjoyed. Thanks for a fab lunch! The meal was excellent, although a little late as they had an issue in the stove. The staff came over and informed us of the delay. The wait was worth it however as we had the wine and dine steak meal with wine for £34.00. The food was very good! Everyone in the party said the food tasted great. Service a little too enthusiastic to tell us about the specials when we had only just sat down and not even ordered any drinks. Fabulous meal and service, would definitely go again. We like this restaurant because the food is very good and the staff are always very pleasant, but most of all you are not rushed through your meal! Food was ok, very quiet though Ive heard its being taken over by new people so hopefully the food will be better. Been several times to Fothergills before and usually have better service, it was average this time quite disappointing. Food and drink nice, could do better with the service. Another very nice meal at Fothergills! Lovely food but the menu is a lot smaller than when we last went, they had run out of the item on the special board and we were absolutely frozen throughout our meal due to the doors across the front being wide open. Very good portions, tasty and good service! Excellent meal, the belly porky was outstanding! Service was great, we had great time at Fothergills. Good pub food at Fothergills - good service! We arrived at a very busy time but were soon shown to our table. Everyone enjoyed the food and the service was excellent throughout. My Wife and I went to Fothergills for Sunday Dinner. The staff, food and drink were great! We were seated at a rather awkward small table in a main throughfare, that had a sofa positioned right next to it that felt like we were being watched, in between people constantly walking by. The food was excellent, but the service was slow (I'll be generous, and say we were forgotten about being sat so far away from the rest of the dining area), and my side order was forgotten; when the chap came across to ask, I mentioned this was missing, it wasn't until the waitress came back to clear drinks and I asked again that it actually arrived. Nice bar, food is lovely, but service leaves a LOT to be desired. Slow service although not too much of a problem as we werent in a rush. Desert menu took so long to be brought we were past wanting anything apart from a cup of tea which came with boiled milk! Annoyingly the specials board werent included in the offer which was a shameas it pushed the price up higher than we wanted. Lovely atmosphere and good service at Fothergills! Very nice meal and good service. Delicious food, particularly the lamb and pomegranate main. Service was quite slow, but friendly. Really lovely meal at Fothergills - would definitely recommend the Sea Bass! It was a lovely closed off place with excellent staff. Strongly recommend this place! Great meal had at Forgergills. Chef kindly altered a dish on the menu to my liking. Good quality food and excellent environment to enjoy a meal on a Saturday night. Very friendly staff and excellent food at Fothergills! Lovely birthday celebration, good food, great service, couldn't fault it will definitely be going back again! We were greeted very pleasantly on arrival and seated immediately. The tables are well positioned with plenty of space between them. We were served by several staff and they all made us feel welcome. The atmosphere was pleasant and very relaxing. The food was fabulous and served with enough time between each course for us to savour every dish. The bill was very reasonable and we have recommended Fothergills to all our friends. We will definitely be dining there again. On arrival at Fothergills we were greeted with a very warm welcome and seated immediately. The tables are all well spaced so we could talk without shouting over other diners. The atmosphere was relaxing and pleasant. The menu is well varied and there was enough choice to suit most palates. Our food was fabulous and served with a smile by all the staff who waited on our table. There was enough time between each course for us to savour each dish and we never felt rushed. The bill was very reasonable and we will definitely be going back to dine there again. The food was very good with a lovely selection. The service was just the right mix of friendliness and professionalism. We had a baby with us and every care was taken to give us room for both the buggy and a high chair. Lovely meal at Fothergills. Food was excellent quality. The service was very good when it came to the food, but we found ourselves waiting a little bit for the dessert menu and the bill at the end of the night. Aside from that it was a brilliant evening! Very enjoyable meal at Fothergills. Maybe the lamb could have been a little more tender but still enjoyable. Lovely tasty meal and brill service at Fothergills. Online booking worked brill. Overall would recommend eating here! It was my first time dinning at Fothergills and have to say it was lovely, the food, the service everything. Will definitely be going back! Very enjoyable meal at Fothergills. Delicious food cooked perfectly, service friendly and helpful without being intrusive. Would recommend and will definitely be back. Great service and fantastic food, have eaten here a number of times in the past and have always enjoyed it but the Christmas menu far surpassed all my expectations. Great evening at Fothergills. Excellent food and very friendly staff at Fothergills! It was my second time at Fothergills. Everything was very nice. Very polite and pleasant staff. We had a vegetarian lady at our table and the waitress even offered to speak to the chef about cooking a special meal for her, if she didn't find anything she liked in the current menu. That was extra nice. Fothergills is a lovely place, lovely food, great price! Brilliant night really enjoyed the food at Fothergills and the service was excellent! Pleasant feeling about the Fothergills. The food and the service is always of a good standard. They were there when required and not overpowering. We will continue to visit. Very nice food at Fothergills, good service and at a reasonable price. can't say anymore really?? Tried Fothergills after reading the reviews. We had the mid week special, two main course and wine for £29.00. We both had steak. The portions were very good. The food was excellent. Will definitely be returning! The food at Fothergills was very good and at very reasonable prices. I had the steak and ale pie and it was lovely. Service was also very efficient, but perhaps slightly robotic. However, I will definitely dine here again. Second visit to Fothergills on a Friday night. Had to wait a few minutes for the table which was handled very well by the staff therefore wasn't a problem. Ordered a bottle of red wine which was served warm and needed to be iced. I expect wine to be stored correctly, it's not much to ask. Unfortunately waiter dropped one of the meals which resulted in both of us eating alone. Offered free sweet which was the best that could be done under the circumstances. Would go back again as the food is good, sometimes things happen that shouldn't but that's life. Dined early evening mid week at Fothergills. Pleasant welcome, good choice of food, all included in the "meal deal". Quality of food was very good so would go again. I always enjoy coming for food at Fothergills. The food is good and tasty pub fare, the value on the set menu is fantastic and in the summer, with the folding windows fully open, it provides the perfect setting to eat by the castle. Great food, great location, great staff! Can't wait to go back to Fothergills! A good location, especially on a sunny day, with the doors of the restaurant open. The salad I had (aubergine, halloumi and chick pea) had the major ingredients cut so small that I was left wondering when they had been reconstituted exactly how big the portions would be. But it was tasty and the chips were great: dry and fluffy. We had a lovely family meal and enjoyed the Sunday roasts at Fothergill's for the first time. Excellent choice with plenty to do before and after. The service and value for money was as good as ever. Overall very good experience. Would go again and bring my friends with me. Modern hipster-ish wibe at Fothergills and I liked it. Good range of cuisine and fine ambiance, in a building of character. Staff friendly and welcoming. We will return and would definitely recommend a visit. The restaurant was busy but the service was as excellent as usual. All the staff are very attentive and personable. The food was as good as ever and we had a very pleasant lunch. The food was very good and there was an excellent choice of wine. Excellent time had by all my family yet again! The staff were particularly friendly and joined in with our sense of humour. Will always be hard to think of going somewhere else when we all get together again. We celebrated my son's exam success at Fothergill's after booking the table at late notice that morning. Go Dine were brilliant and the food at the restaurant was really good. It was an excellent choice of venue and we all enjoyed the evening. Thank you! I really love the food at Fothergills. I'm vegetarian and I love that they really make an effort with the veggie dishes. They were training some new staff so there were a few hiccups with the service but everything was rectified swiftly and politely. I will be back soon! Delicious food, will definitely go again. Went for dinner to Fothergill's in a group of three, its a lovely place in a great setting. Service was OK. Food for me was OK, my steak wasn't the best quality of beef. It was cooked rare though, how I asked so that was a plus. My two guests really enjoyed their food. The wine was reasonably priced and really lovely. The highlight of the meal was the cheeseboard, which was divine. Would go back and try again. We had pre-booked our meals at Fothergills and they came straight away and were delivered by our names which made the service very personal. We had a table to ourselves and the food was very tasty, really enjoyed it! Dined pre show and all food was served on time, lovely dishes and candlelit tables. I booked surprised birthday meal of 30 family and friends, we had upstairs to ourselves which was nice. I was allowed to decorate the settings to my liking. lovely food, great service, no complaints from any of the party. Highly recommend. Really liked it here. Staff are friendly and food is good. Well worth the money. This place never disappoints. Service is attentive without being obsequious and the food and general atmosphere is always top class and good value for money. We sat in until nearly 1am on a Thursday night and were never once asked to leave or felt that we had outstayed our welcome. Add to that, that the beers are Castle Rock and you can't go wrong! Waiter wanted to remove my dining companion's plate before she had put her knife down on the plate. As soon as the starter plates had been removed the main course arrived within a minute. Lamb shank and mash incredibly hot whereas the red cabbage, green cabbage and carrots were cold. This was brought to the attention of the waiter as I suspected the lamb and mash had been microwaved and he implied not. Whilst completing a review form after paying another waiter was inquiring if everything was alright. We explained our experience and he was concerned about this and presented us with a complimentary bottle of the wine we had enjoyed. Fothergill's restaurant is fantastic, the food is always delicious and the staff always incredibly helpful. Definitely try the Sunday roast! Sunday lunch with friends. A varied menu, great selection of beer and wines and good service. Had a great night at Fothergills! It was the first time I've been but it had been recommended. We booked a table for 10 and asked for a somewhat 'private' space. We had the corner downstairs all to ourselves. The staff were very friendly and efficient, the food and wine were great and reasonably priced. Will definitely go again! We booked and got the confirmation of the wine and dine for 2 at £29, but got there and were told that was not available on Sundays, so we had to order from the main menu. My wife ordered the Sunday roast pork which was ok but not too hot but was edible, I had the mussels which were good till I got to the end when I have a spoon of the stock and got a mouth full of broken shells, we didn't say anything as we need to get going, but will think twice before we return. Always a fan of this place. It's especially lovely in the summer when they open up the bi-fold doors to open the whole space up. Set menu is tasty and very reasonable. Service is friendly but not overbearing. 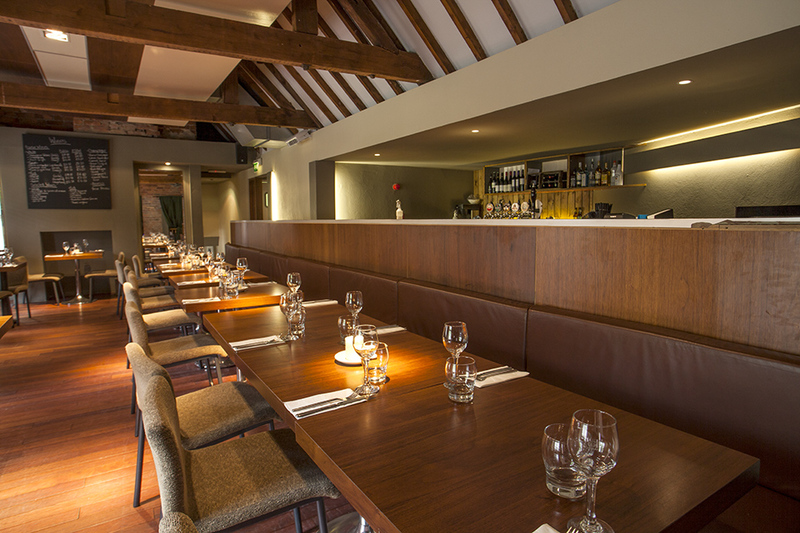 A great place to pop for both a working lunch or a nice evening meal. Very good service and food been before will go back again excellant. I have rarely given so many stars but we had an excellent meal looking out at the walls and trees of Nottingham Castle and served by extremely helpful staff. We used the special dining offer for dinner but it was great that it could be used flexibly, e.g. We substituted the house wine for another and just had to pay the difference. Food was interesting without being outrageous for the sake of it and well cooked, especially the duck and the chips! We will definitely return! 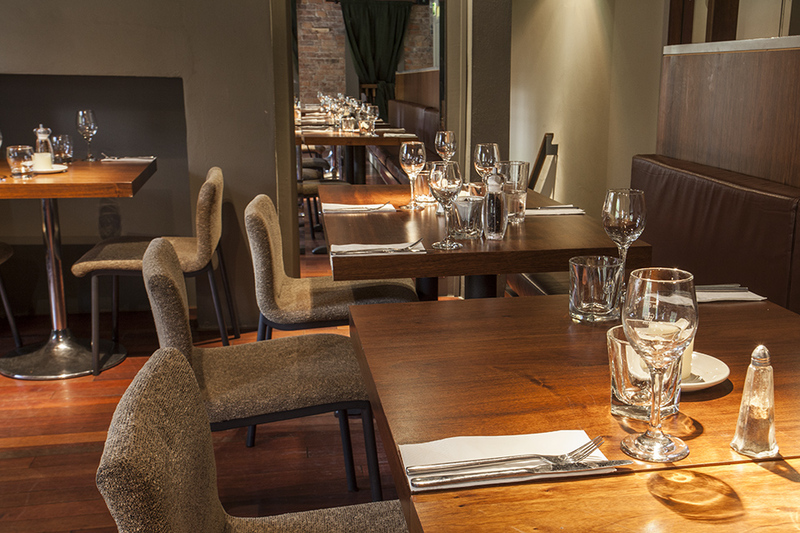 Excellent value menu (2 mains and a bottle of wine for 2 for £29), and delicious food. We particularly enjoyed the lamb rump special. Great atmosphere, and lovely place to take visitors to Nottingham, as it's well placed overlooking the castle. Excellent from start to finish. Great value for money. Friendly staff. Would recommend, and hope to return ourselves soon. The food was amazing. There was a good choice, it tasted really good and the portions were generous. The atmosphere was nice and the total cost was very reasonable for the quality of the food that we had. We will be going back. Excellent value at Fothergill's. We had the Sunday lunch. Portion sizes were large but very tasty. Wonderful starter but less impressed with main course. Will definitely go back to Fothergill's. Wonderful lunch time menu. Good value. We booked a table for 7 easily online. Both the food and service at Fothergill's were excellent. I would go again. Would offer higher rating if possible! First visit and so looking forward to next vistit in 3 weeks. Excellent all round at Fothergill's. Excellent choice of food on the menu, even for a vegetarian member of the group. Delicious belly pork. Would recommend Fothergills in Nottingham. Ratings for Fothergill's restaurant in Nottingham. We had a really good meal at Fothergill's. This is the second time we have visited and enjoyed it as much as the first time. We'll definitely come again soon. I can recommend the belly pork its melt in the mouth and very flavoursome. Good food at a good price at Fothergills. Will be back. Fothergills continues to impress me. I have used them for work related lunches as well as social. We waited for the evening menu as my other half fancied the steak (very good). I had the mussels which were a bit disappointing (not at their usual standard) so I put it down to an off day. Otherwise lovely as usual. I like the al fresco element of dining but you can be sheltered inside too. 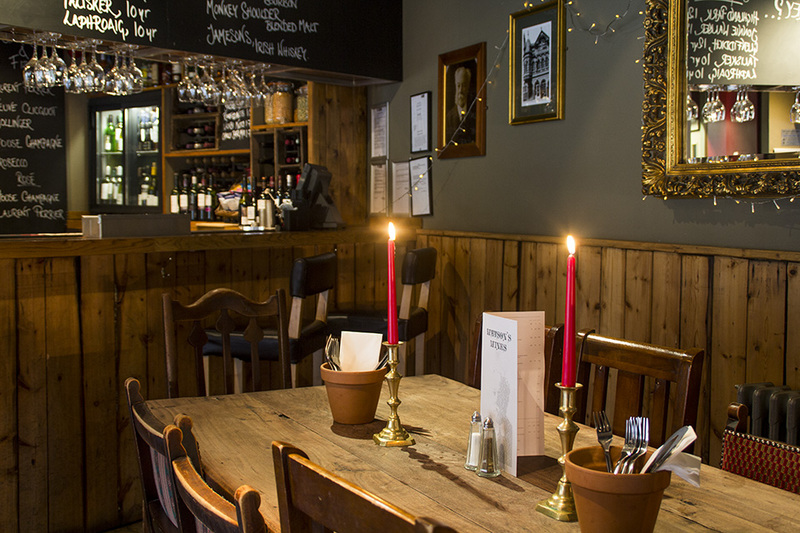 Fothergill's offers excellent location, really fresh and tasty food with great service. Had the pleasure of dining at Fothergill's on the the 15th of July 2013 and as its says by our score, the whole experience was awesome. Stunning food! Excellent value, attentive staff and great setting. We went on Valentine's night and we found the service and the food to be of a good standard. My husband was pleased because they do a nice range in real ales. We would go again. Excellent all round as always. Great restaurant and again the roast was huge and very tasty! Always good atmosphere and service quick and efficient. Fantastic meal with the family. Food was as good as ever. Really enjoyed the service and the meal. I'm a Fothergills fan & have recommended it to so many people. However this was my second visit in the space of a month where the food let it down. The staff do take feedback good or bad very well & I'll still return even though the Yorkie puds were probably the worst I've ever had. Food was good, excellent service, nice surrounding. But get your toilets sorted. Will go back and overall really good. Great day with great food and drinks! Went for the two course meal and thoroughly enjoyed a starter and roast dinner main! Will be going back soon! Nice food in nice surroundings. There were a good number of dishes to choose from on the set menu, though belly pork did seem to crop up as an ingredient a little to often. The staff are friendly and a good range of real ales is on tap - replete with samples in little jars on the bar so you can gauge the colour of your drink. Enjoyed our meal, food was great and service was polite and efficient. The food was really good and we had an enjoyable evening. One fault - they need to correct the description of 'key lime pie' this was a cake, nothing like what was expected, and the reaction from staff reduced the score on service. Lovely restaurant- you arrive in the bar first which can be really busy but once you go upstairs its lovely! Reasonable price meal- wish there was more mozzarella on salad though. Staff very attentive and friendly. Highly recommended. Came here during lunch hour to go for the set lunch menu. A very tasty sounding selection on the menu with some chalkboard specials which you could have in place of a set menu course. Food came out in great time, was really tasty and well presented. Great service. The price is brilliant as well for a quick lunchtime meal or a catch up with friends. Recommend it for sure. Nice location and very good staff-polite friendly and chatty. We went for Mother's Day and they didn't have a special menu-it was just their normal Sunday set menu and didn't really make my mum feel special at all. Three courses for £11 or so is cheap so you can't really complain and be too pernickety as you do get alot for your money but I wasn't amazed. For example for starters I had mushrooms and bri on ciabatta bread. It came out on french stick bread, with a tiny mushroom and hardly any brie so very dry, main course I has mussels and they were the smallest things ever (did not fill me up at all). It is a good place to go if you don't want to spend too much and yet still have a three course meal. Really nice and chilled environment. Food was good and the three course offer was good value for money. Only complaint was that it wasn't very warm where we were sat. Food and drinks were reasonably priced. We stayed for 2 hours and at no time were we hurried or made to feel we should vacate our table. It was a very relaxed lunch that we thoroughly enjoyed.We would go again. Quite simply rates as one of the best value for money dining experiences I have enjoyed in a long while. There were three of us dining and every single one of our three courses we could not fault. I cannot wait to get back. Well done Fothergills! A very good restaurant the food was of a very good quality and the staff where very good and took care of all our needs . This is right opposite the statue of Robin Hood at Nottingham Castle so is a lovely setting, the food was really nice and slightly different choices on the menu compared to a lot of british menu's. The live band that was on in the downstairs bar were really good and made it a nice place to chill out and have a relaxing drink. I would recommend this for couple's wanting a nice evening out. Under new management, Watson Fothergills Nottingham has reopened and returned to its roots. Serving locally sourced, seasonal food - freshly prepared on site every day - it's the perfect place to relax after a day’s sight-seeing, or as a base from which to explore. 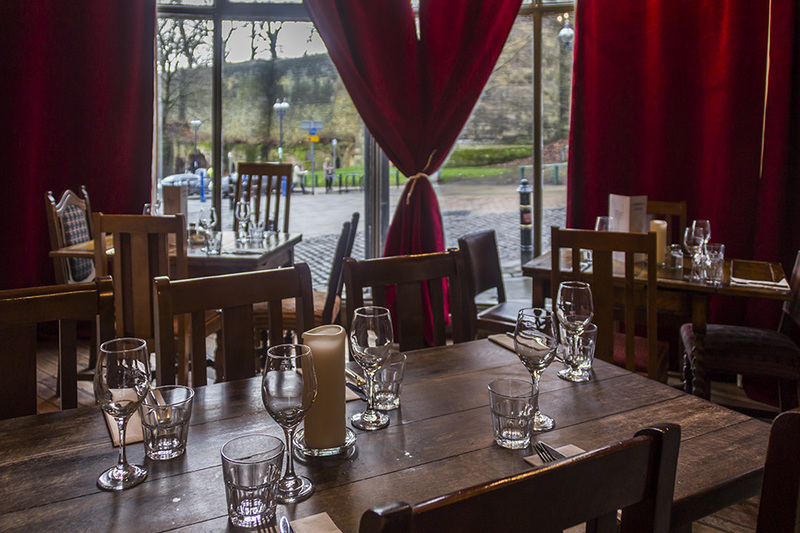 Located at the foot of Nottingham Castle, on the stylish and historic stretch of Castle Road, the restaurant is named after the quirky Victorian architect Watson Fothergill: the man who designed the building that Fothergill's resides in as well as many of the buildings that are dotted around the city today. The newly reopened restaurant features a more stripped-back décor than before, allowing the original features to remain central to the venue's atmosphere. To the front of the restaurant is an al fresco dining area that overlooks the Robin Hood statue, then you'll find an informal style eatery on the ground floor overlooked by the open kitchen. Inside, the dining room is contemporary with a traditional twist: green chairs, exposed brick and soft lighting create a welcoming and intimate dining experience. 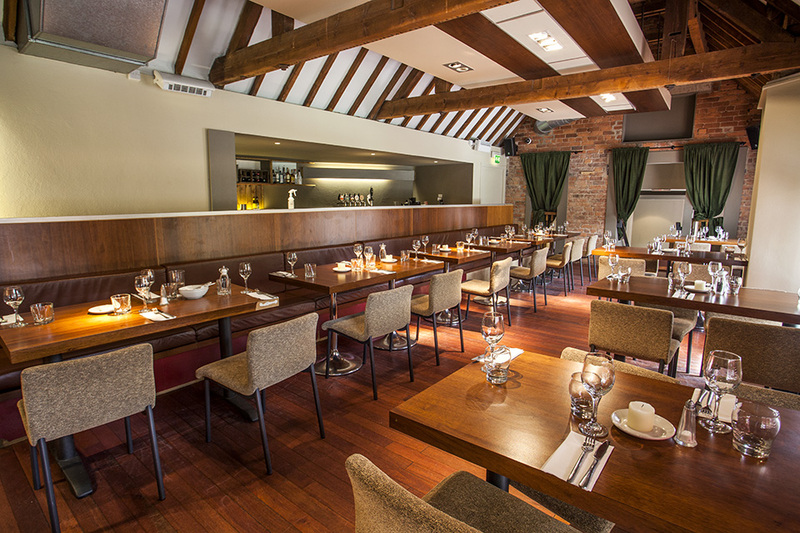 As well as a stunning dining area, there is also a space available for functions of up to 100 people. Whether you are looking to host a formal sit-down meal or a champagne reception, Fothergill's are able to create the perfect backdrop for your event whilst offering privacy, fantastic service and delicious food. Offering an amazingly well-priced set menu every lunchtime and evening, packed full of delicious seasonal dishes, Fothergill's offers their a la carte as a one course, two course or three course menu. You can expect to tuck into locally sourced tender beef stew, slow cooked with caramelised onions real ale and served with thyme buttered mash and fresh herb dumplings; mussels in spicy Arrabbiata sauce with rustic chips and crusty bread, and vegetable tagine with roast vegetables, spinach and chickpeas in a tomato sauce with lemon cous cous and harissa crème fraiche. 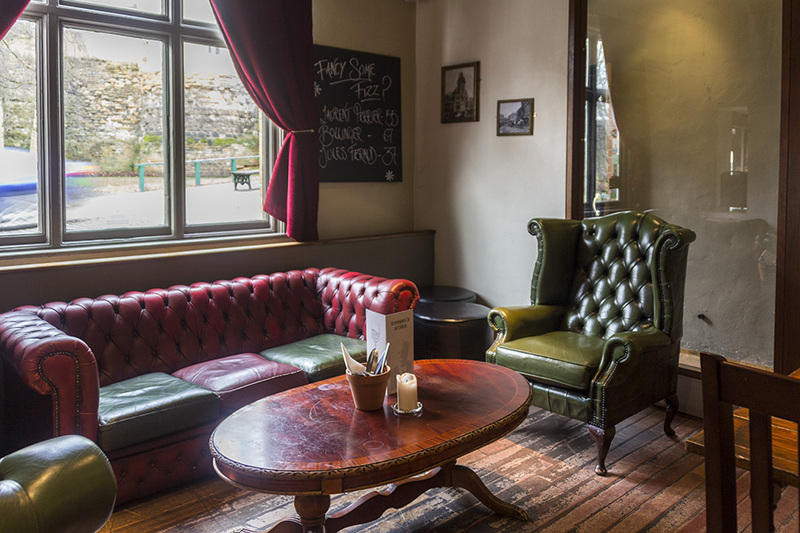 A well stocked bar rounds the Fothergills experience off nicely, with four cask ales and a traditional scrumpy cider available at all times, as well as a fantastic selections of US craft beers, Belgian beers, spirits, a lengthy wine list and soft drinks. 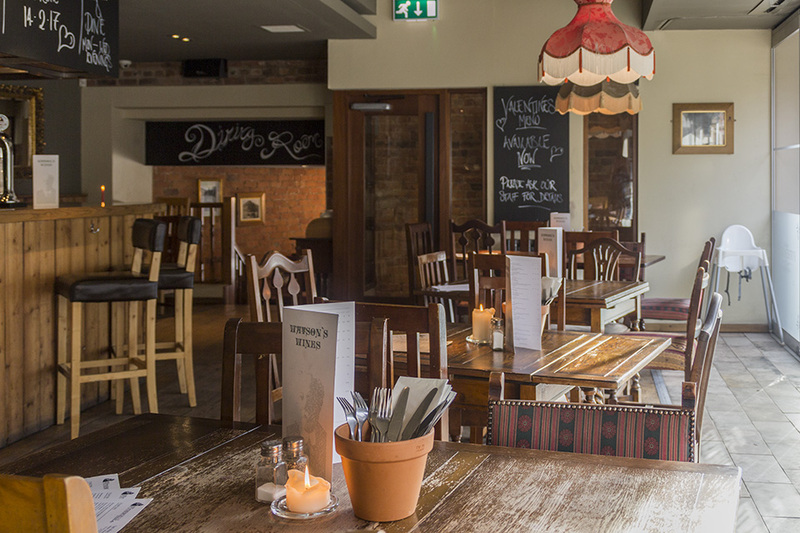 Fothergills restaurant is a fantastic addition to Nottingham’s restaurant scene. Its location, cuisine, history, decor and brand new menu make it a firm favourite with locals and tourists alike. Enjoy a Fothergills Sunday Lunch, served each week from 12 noon with both Nottingham Castle and the world-famous Robin Hood statue in clear view, enjoying one of their home-cooked Sunday Roasts. They offer a choice of pan-roasted chicken supreme, slow-roasted belly pork, silverside of beef, braised lamb shank or vegetarian nut roast with all of the traditional trimmings from only £11.95. For those breaking tradition, they also provide a wide variety of other meat, vegetarian and fish dishes. See menus section for full list of dishes available. Book in advance to guarantee a table. Fothergill's pride themselves on their delicious, locally sourced and freshly prepared food and it's easy to see why! 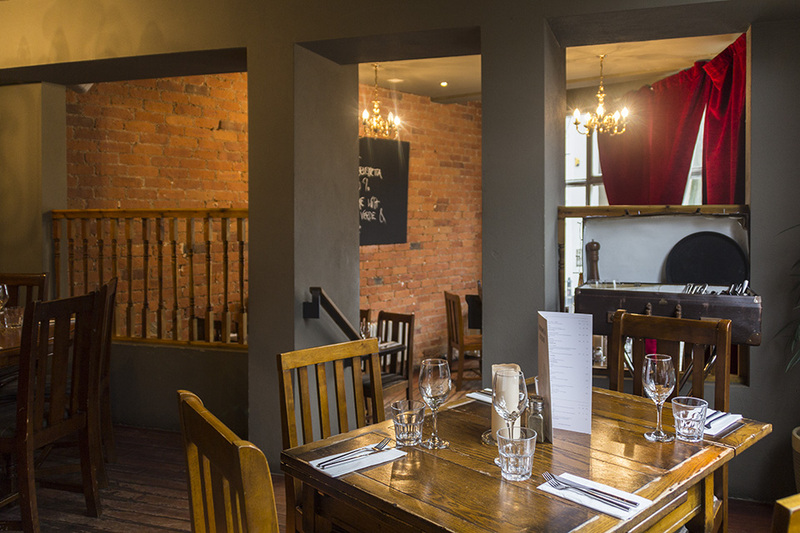 Indulge in either a main, salad or burger with a 175ml house wine for just £13.95.